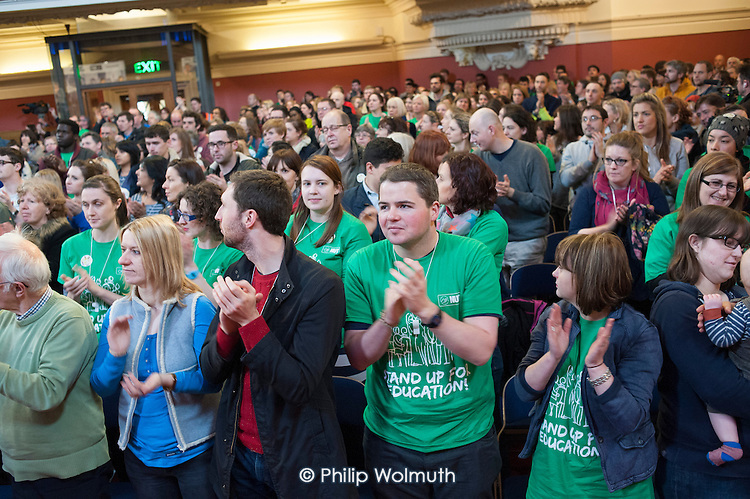 One minute applause in memory of Bob Crow and Tony Benn, Central Hall, Westminster. . Teachers one-day national strike called by the NUT over pay structures, pensions and working hours.